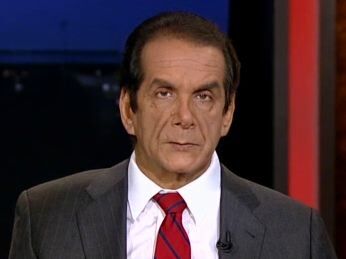 Krauthammer On Fiscal Cliff Negotiations: "Republicans Ought To Simply Walk Away"
CHARLES KRAUTHAMMER: It's not just a bad deal, this is really an insulting deal. What Geithner offered, what you showed on the screen, Robert E. Lee was offered easier terms at Appomattox, and he lost the Civil War. The Democrats won by 3% of the vote and they did not hold the House, Republicans won the house. So this is not exactly unconditional surrender, but that is what the administration is asking of the Republicans. We had that movie a year-and-a-half ago where Paul Ryan presented a budget, a serious real budget with real cuts. Obama was supposed to gave speech where he would respond with a counter offer. And what did he do? He gave a speech where he had Ryan sitting in the front row. He called the Ryan proposal un-American, insulted him, offered nothing, and ran on Mediscare in the next 18 months. And they expect the Republicans are going to do this again? The Republicans are going to walk on this. And I think they have leverage. Yes, for Congressional Democrats it will help them in the future if Republicans absorb the blame because we will have a recession. But Obama is not running again unlike the Congressional Democrats. He's going to have a recession, 9% unemployment, 2 million more unemployed, and a second term that's going to be a ruin. That is not a good proposition if you are Barack Obama. Reid On Boehner: "I Don't Understand His Brain"